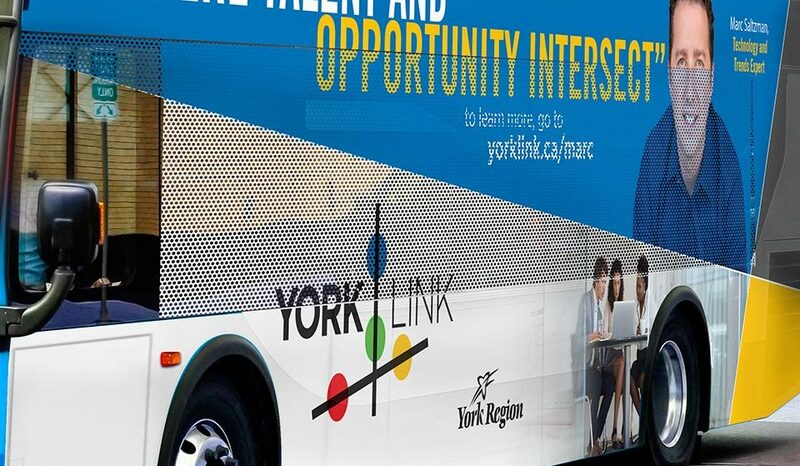 York Region retained Shikatani Lacroix to develop an in-depth strategy and rebranding program for York Link, formerly known as Centres and Corridors while integrating Invest in York, its previous economic development program. Shikatani Lacroix developed the brand strategy, program positioning, new logo and brand standards manual for the program. The Centres and Corridors of York Region is a key area in Southern Ontario for business development and community grow­­th. 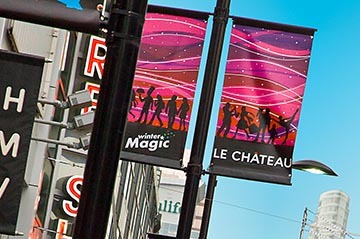 Connected by an efficient network of highways and public transit, business hubs, and large residential developments, the region offers unique opportunities for businesses to find exceptional talent right in their own backyard, and for residents to find an ideal work/life balance. York Region has rebranded Centres and Corridors through the integration of its previous economic development program Invest in York to York Link. The new economic development marketing and communications strategy aims to attract new employment and business development within the York region. York Region’s previous business development marketing strategy Invest in York focused on retaining, expanding and attracting growth businesses in York Region. 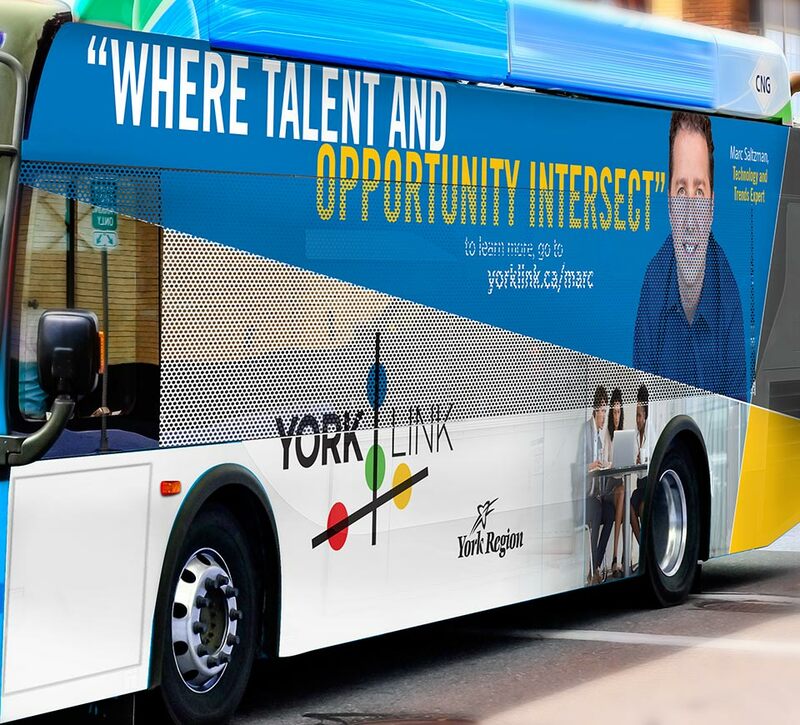 The new strategy integrates Invest in York while targeting employers as it aims to influence location business decisions in the region, primarily within urban growth centers and along transit and transportation corridors. York Region needed to attract new employment and business development within the region to promote economic growth. Business growth had stagnated in recent years, and the Municipality Board of Directors recognized a critical opportunity had arisen for York Region to define itself more succinctly in order to be competitive. However, its positioning was being lost amongst other municipalities with similar branding and messaging. York Region was suffering identity dilution as the word “York” is utilized by a variety of organizations. There was a need to explore a position beyond the seven territories within the region. Shikatani Lacroix identified a lack of familiarity and understanding of the region. York Region’s point-of-difference needed to be clearly defined with specific targeted messaging that leveraged its numerous assets. Shikatani Lacroix was tasked to create a brand card with a “big story” campaign. 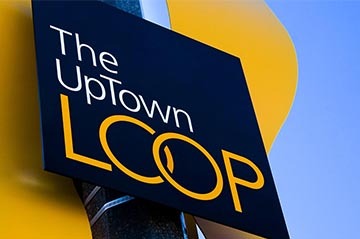 This campaign entailed initial research with active participation from key stakeholders, including focus groups and one-on-one interviews, competitive reviews, research, and online surveys involving tenants, developers and economic development officers for the region. 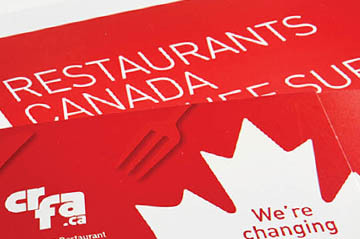 With a focus on York Region’s key point-of-difference, the campaign idea, logo and positioning statement were developed. The naming initiative produced a shortlist of options, which underwent market research to gain further insight and identify a direction that differentiated the region and communicated its brand position. 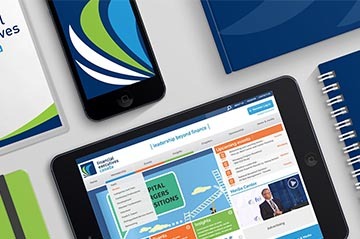 Through our ThinkBlink process, the brand positioning was developed through the campaign essence of a “Success Connector” – with the idea that better productivity is equivalent to balanced living, and forward-thinking leadership creates a strong platform to attract talent and future-proof growth. The tagline, “Where Talent and Opportunity Intersect,” supports the new creative direction and resonates with the target audience as an attractive area to establish their business. 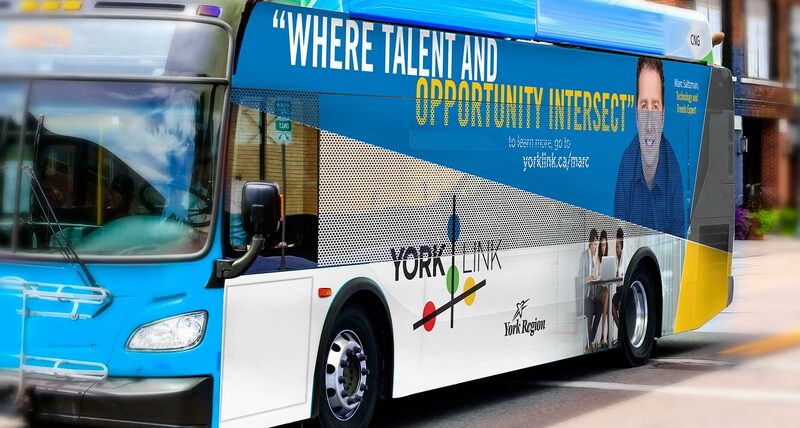 The York Link logo features a visual representation of the centers and corridors. 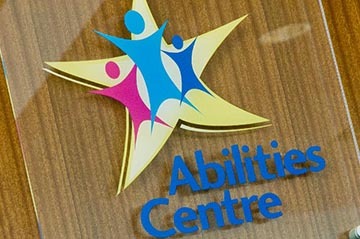 The logo features bold intersecting lines to symbolize transit across and beyond the corridors. The colorful nodes represent the centres made up by the cities of Newmarket, Richmond Hill, Markham and Vaughan. 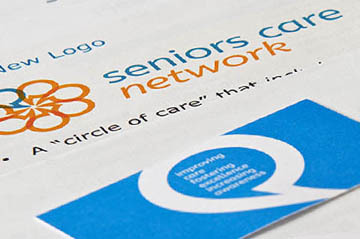 The bright colors and bold graphic lines invite York Region’s various target groups to interpret the logo in multiple ways. Shikatani Lacroix successfully delivered a fully developed communication program, including a logo, tagline, brand card, global brand standards manual, and big brand idea that was further validated by market research. Shikatani Lacroix evolved the brand from outdated and unclear, to modern, definitive and memorable. The new branding initiative is being implemented across the nine York Region municipalities, and has been well received by both the economic development officers and developers.